A fundamental barrier to scaling quantum computing machines is "qubit interference." 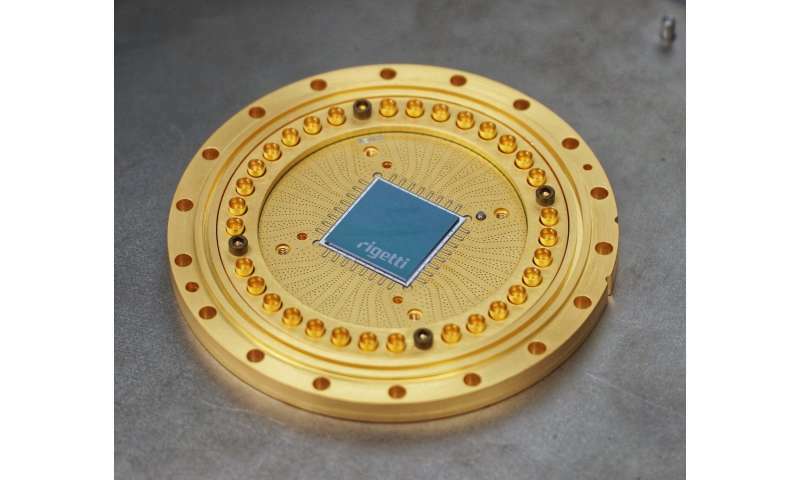 In new research published in Science Advances, engineers and physicists from Rigetti Computing describe a breakthrough that can expand the size of practical quantum processors by reducing interference. Matt Reagor, lead author of the paper, says, "We've developed a technique that enables us to reduce interference between qubits as we add more and more qubits to a chip, thus retaining the ability to perform logical operations that are independent of the state of a (large) quantum register." A highly successful class of entangling gates for superconducting qubits operates by tuning two or more qubits into resonance with each other. At this tuning point, the "wine glasses" pick up on one another's "vibrations." He continues: "We repeat that filling operation at the difference frequency between the glasses (here, 20 times per second, or 20 Hz). By doing so, we create a beat-note for this glass that is exactly resonant with the other. Physicists sometimes call this a parametric process. Our beat-note is "pure"—it does not have frequency content that interferes with the other glasses. That's what we have demonstrated in our recent work, where we navigated a complex eight-qubit processor with parametric two-qubit gates."